Graphics memory maestros, SK Hynix, have announced the introduction of the new GDDR6 memory standard “for a client to release high-end graphics card by early 2018.” That’s got to mean a consumer variant of the upcoming Nvidia Volta GPU, or am I just way off base here? It’s a GPU battle royale right now, with new releases coming thick and fast, but if you want to know the best graphics card to buy today you know where to come. The new memory standard has been designed to replace the existing GDDR5 and GDDR5X memory arrays used for today’s high-end graphics cards, offering a data rate of 16Gbps compared with the 10Gbps and 14Gbps of GDDR5 and GDDR5X respectively. 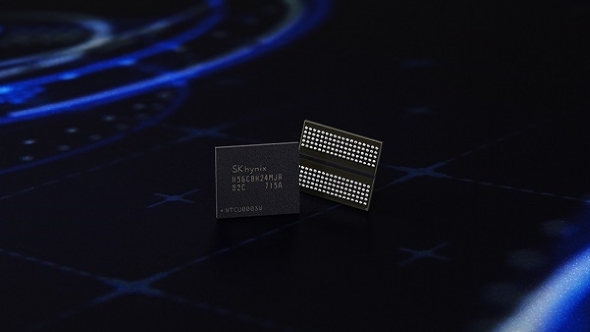 As well as offering a higher data rate the new memory standard will also offer lower operational voltages as well with Hynix claiming a 10% reduction. The first GDDR6 memory chips will be at the 20nm level with density of 8Gb, that would mean capacities of 1GB of GDDR6 per die. The press release repeatedly mentions collaboration with a ‘core graphics chipset client’ in order to get the mass production of the new memory standard to market for early next year and goes on to mention its importance to growing industries “such as AI(Artificial Intelligence), VR(Virtual Reality), self-driving cars, and high-definition displays over 4K.” Now sure, AMD are now going big on AI and VR, but only Nvidia are likely to be mentioned with regard to self-driving cars and graphics cards. To me would seem to confirm Nvidia will be aiming to launch consumer versions of the Volta GPU architecture in early 2018 sporting the new GDDR6 memory standard. Hynix also specifically mention the memory bandwidth performance of GDDR6 running on an aggregated 384-bit memory bus for a forthcoming high-end card. 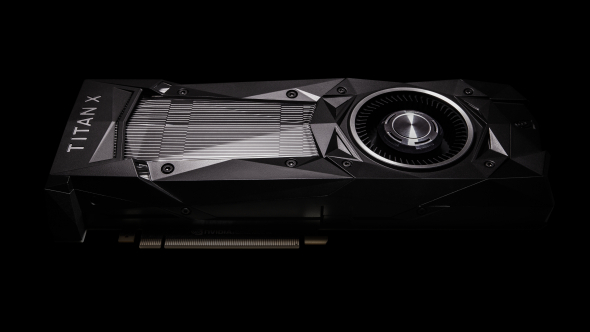 They claim bandwidth of up to 768GB/s which, compared with the 548GB/s bandwidth of the new Nvidia GTX Titan Xp and its 12GB GDDR5X array, is a pretty hefty boost. If they’re talking about that being the performance of a potential GTX 2080 card that’s more than double the memory bandwidth of either the original GTX 1080 or the updated version with the speedier memory. We’ve been expecting the top-end Volta GPUs to run using HBM2, with those professional-level chips likely to be unveiled at GTC next month and released later this year. We already know the Oak Ridge Summit supercomputer will be running multiple Volta GPUs using the NVLink interconnect, but we don’t expect the gaming-focused consumer versions to go with such extreme memory tech for their frame buffers, preferring to use the cheaper GDDR6 design to improve margins. So, if you were hoping for a Volta graphics card going head-to-head in a GPU deathmatch with AMD’s Vega this year, I’m afraid your silicon bloodlust is sadly likely to go unsated.